“Techno isn’t a sound, it’s a feeling.” That might not be quite how the saying goes, but after listening to Ulysses’ new record on The Bunker New York, you’ll be inclined to agree. Feelings is his second release on The Bunker New York, and it’s the kind of record only someone with his experience could produce: confident, coherent, and carefully arranged — it hits like a truck. “I’ve found that I only make good music if I’m experimenting. Usually, if I try and make ‘dance music’ specifically, I end up doing something too conventional,” says Ulysses, explaining his compositional process. Whatever he’s doing, it’s working: “How Does It Feel to Feel,” the record’s opener, features low-slung basslines and synthesizer blasts that sound like jets flying overhead — the other Doppler effect. A techno tune that isn’t particularly concerned with techno’s rules, it’s a slow 121 bpm — which, paradoxically, makes it feel heavier than faster-paced techno cuts — and spaced-out, barely-there vocals give it a ghostly (but human) touch. “Object of Interest,” the record’s second track, runs at a similarly slow pace but feels slightly less demented, intensifying the atmosphere created by “Feel to Feel” and priming it for peak-time. “The Mascara Snake” is the quintessential B-side sleeper: a moody, melodic synthpop slow-jam that sounds like Duran Duran on some very high quality psychedelics. On a record by a lesser producer, a track like this might feel out of place. On Feelings, it sounds completely natural — the perfect melancholy counterpoint to its primary techno energy. Ulysses goes on to explain: “I feel like the line between techno and ‘experimental music’ is a thin one. 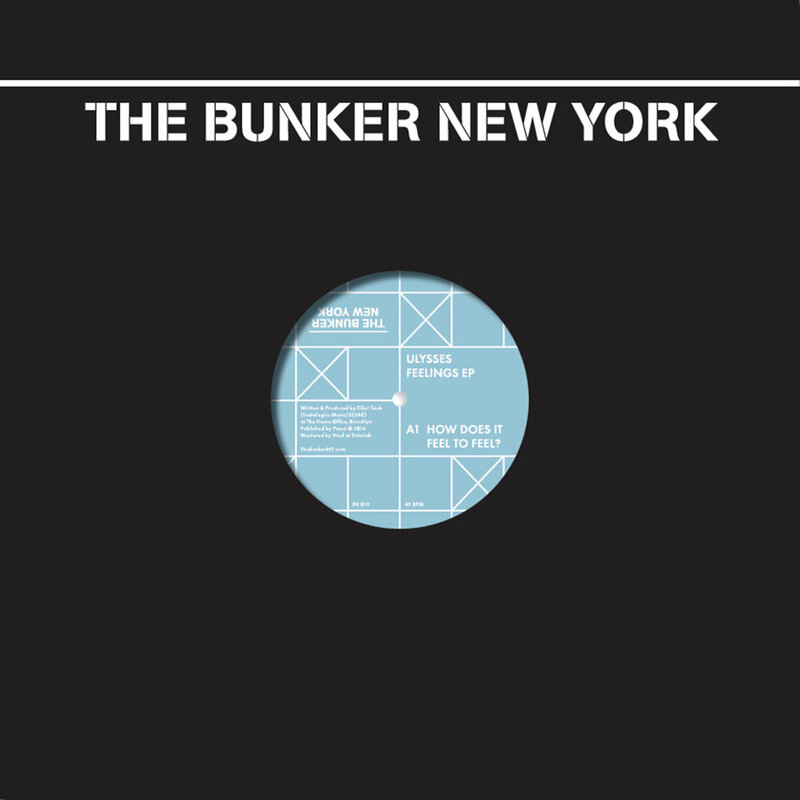 You can make the weirdest, most ‘out there’ sounds and as long as it has a pumping kick drum — you can call it techno.” That philosophy has been part of The Bunker New York‘s ethos since day one, and it’s precisely what makes this record so inspiring to us.